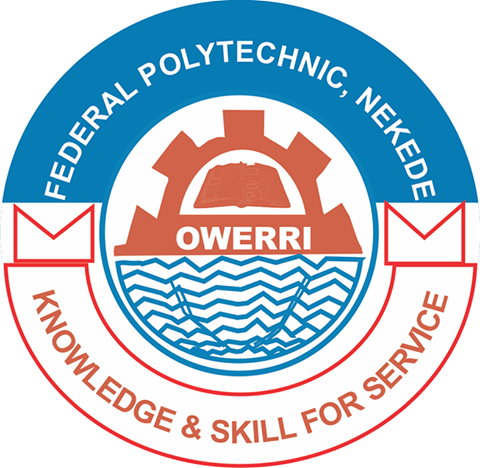 List Of Courses Offered In Fed Poly Nekede And Their O’level Subject Combination!! This is to inform the general public and all Nigerian Students that the list of courses offered in Federal Polytechnic Nekede and their O’Level subjects combination is are now available on this official blog site for Federal Polytechnic Nekede. English, Mathematics, Chemistry and Physics. 17. Office Technology And Management. 18. Co-Operative Economics And Management. English, Government, History and Economics. You Can View The Rest By Click HERE. This entry was posted in About Fed Poly Nekede, Campus Gist, List Of Courses, Post UTME Updates and tagged Fed Poly Nekede, Federal Polytechnic Nekede on October 11, 2017 by Mina. Fed Poly Nekede ND Part Time Admission 2017/2018 Announced!! This is to inform the General Public and all admission aspirants of of the Federal Polytechnic Nekede that the management of the Polytechnic wishes to invite Candidates from suitably qualified candidates for admission into the uder listed programmes. Also Read: List Of Courses Offered In FedPoly Nekede. • Return to school portal www.fpno.edu.ng. and complete your application process. Submit your data as requested and print out your acknowledgment slip. If you process your payment using your card, you will return to the portal immediately to print your receipt and acknowledgment slip. •All Application procedures MUST be concluded on or before 12 midnight of 30th June, 2017. This entry was posted in Campus Gist, List Of Courses, Post UTME Updates and tagged FederalPolytechnic Nekede on October 8, 2017 by Mina. For More Updates, Like, Share And Subscribe To FedPoloyNekAdmission Blog. This entry was posted in List Of Courses and tagged Federal Polytechnic Nekede on October 7, 2017 by Mina.